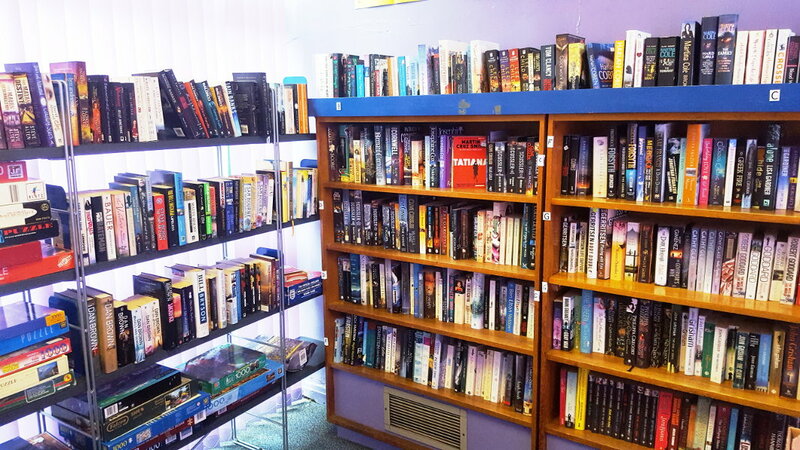 Visit our in-library bookshop for a large selection of quality second-hand books, mostly priced between 30p and 50p. We also have a selection of jigsaws, CDs and DVDs for sale. Stock is constantly changing — pop in and take a look!